The hunt for the female lead for Seven‘s new series Fire is over. Former A Country Practice star Georgie Parker has been confirmed for the role of Morgan Cartwright, the new firefighter in the squad who is forced to join an arson investigation which points to one of her colleagues in the brigade as a serial pyromaniac. Also joining the cast is Peter Phelps, last seen in Heartbreak High, Liddy Clark and Taylor Kane. Fire will be filmed in Brisbane and screen on Seven next year. Nine Network sitcom The Bob Morrison Show will not be renewed beyond the end of its first season. But while it’s usually the network that axes a show, this time it’s the producers, Telltale Films. Despite attempts by Nine to renew for another 13 episodes the producers feel they’ve exhausted the concept. The Great Outdoors‘ Ernie Dingo has signed up for a guest role in Heartbreak High. He will be playing the part of a basketball coach but won’t be seen on screen until next year. Andrew Daddo has joined the Seven Network stable as a “network” personality, taking on odd jobs around the station. His first job will be hosting a two-part series, The World’s Funniest Commercials, followed by a three week stint on The Great Outdoors. Saturday: In A Country Practice (5.30pm, Ten), Claire (Claudia Black) tries to reunite a young family. Sunday: In Halfway Across The Galaxy And Turn Left (8.30am, Seven), when the Chief (Bruce Spence) follows Jenny (Kellie Smythe) back to the house, Hecla (Sandy Gore) tricks him into thinking he has captured X (Lauren Hewett, pictured). Sunday AFL includes Geeling v Adelaide (2pm, Seven), live from Geelong, followed by highlights of Richmond v Sydney Swans (5pm, Seven). Sunday night movies are The Silence Of The Lambs (repeat, Seven), Accidental Hero (Nine) and Grand Canyon (Ten). Monday: TVTV (6.30pm, ABC) returns with new hosts Mark Mitchell and Tiffany Lamb. In Home And Away (7pm, Seven), Roxy (Lisa Lackey) discovers that Rob (Matthew Lilley) has been playing her for the fool. In Healthy Wealthy And Wise (7.30pm, Ten), Jim Brown visits the dolphins at Monkey Mia, Ronnie Burns goes back to school for a lesson in music, Ross Greenwood looks at a very special form of insurance, and Lyn Talbot checks out the use-by dates on food in the fridge. 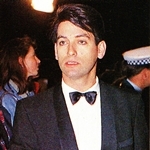 In the series final of Frontline (8pm, ABC), Mike Moore (Rob Sitch, pictured) needs to find a date for the TV Week Logie Awards. Each of the women he invites is busy, so it looks like Mike may be desperate and dateless on TV’s night of nights. Tuesday: In Neighbours (6.30pm, Ten), Cheryl (Caroline Gillmer) compromises for not marrying Lou (Tom Oliver) when she names the baby. 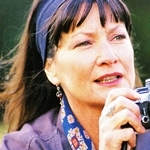 In Blue Heelers (7.30pm, Seven), Roz’s (Ann Burbrook) actions could have dire consequences when she gets personally involved with a domestic case. In GP (8.30pm, ABC), when Martin’s (Damian Rice) colleague Keith (Alan Lock) is contacted by his biological mother (Kris McQuade), his world is turned upside down. Wednesday: In Heartbreak High (7.30pm, Ten), Barry Crocker, Bernard King and Diana Fisher guest star as talent quest judges when Con (Salvatore Coco) talks Jodie (Abi Tucker) into taking part in Star Quest. Margaret Throsby and Charles Southwood host The Young Performers Awards (8.30pm, ABC) from the Concert Hall of the Victorian Arts Centre. Thursday: In Home And Away (7pm, Seven), Irene (Lynne McGranger) has an unwelcome visitor, while Michael (Dennis Coard) is shocked by the contents of Jack’s (Daniel Amalm) wardrobe. In The Damnation Of Harvey McHugh (8.30pm, ABC), on the eve of the national election, Harvey (Aaron Blabey) unearths a massive electoral fraud. 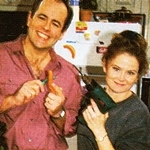 Friday: In Neighbours (6.30pm, Ten), Philip and Julie (Ian Rawlings and Julie Mullins, pictured) embark on a gender role swap. 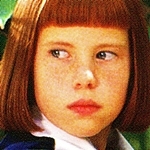 In Rex Hunt’s The Great Outdoors (7.30pm, Seven), Melissa George shows the popular sport of roller skating and meets up with Australian champion Jayson Sutcliffe, while Penny Cook gets advice on how to do face painting for children, and Monica Trapaga takes a step back in time when she visits Old Sydney Town.